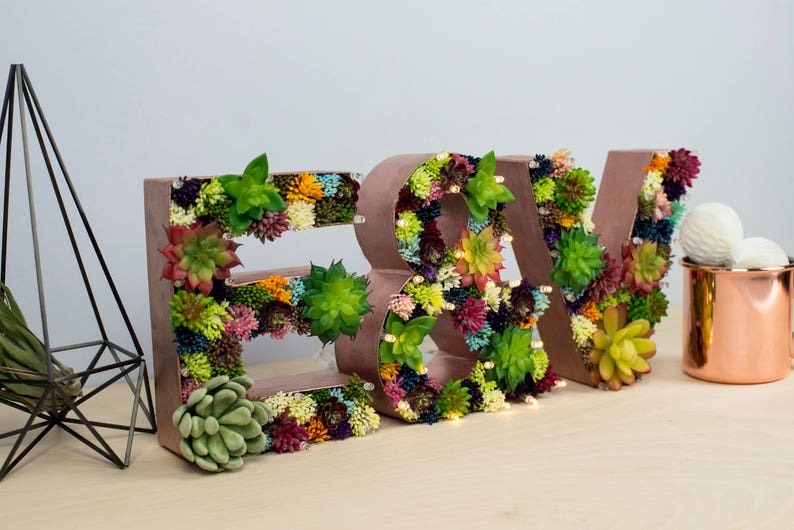 A stunning addition to our range of letters, these artificial succulent letters are bang on trend and would make a fantastic addition to a rustic themed wedding. 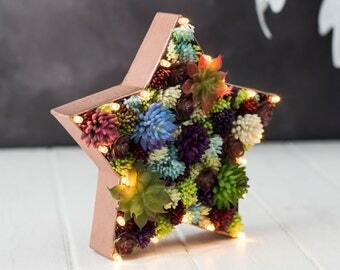 Each letter is filled with high quality, artificial succulents and (optional) up to 20 warm white battery operated LED fairy lights. Lights have a guaranteed lifetime of 30,000 hours and are powered by 3xAA batteries (included). As the lights are battery operated you are free to stand them wherever you like without having to worry about plug sockets. The battery pack sits free of the letter enabling you to hide it as required. If you choose the option with lights, please note that they are not wall mountable. Over 20 colours to choose from for the base colour. By purchasing this item, you are agreeing to the shop policies. Reinforced card / paper mache base and (optional) LED string lights. 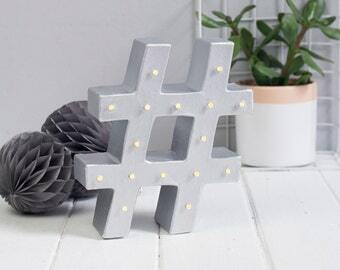 Lights are approximately 17.5cm tall, with a depth of 5.5cm. To order, simply choose your letter colour from the dropdown and add your initials to the notes section on checkout. My sister literally screamed when she opened it. I can't believe it got here in time for the wedding.